Since 1931, the Australian automobile industry has been predominantly populated with cars like Holden, Ford, and Toyota. When General Motors shut down production in 2016 due to low demand. Holden and Toyota Australia remained committed to producing cars locally. The vastness of the country and the extensive road network with the vast outback make automobiles a defining part of the Australian culture. As cars get more advanced there is an increasing drive to get better. The digital age is around us. Facebook messenger and others are now part of our daily lives with users across generations. Messaging worldwide is now more popular than social media and has increasingly become a part of Australia’s cultural fabric. How does one connect a rich history of the Australian automobile industry to new age changing consumer habits? The automobile dealer is the key connection between manufacturers and consumers. But how does one connect better with customers on the channels they prefer? As part of the get closer, friendlier and more responsive drive? Technology is the only enabler. Mobile apps and websites have been prevalent with mixed success. They are more pull type channels for customers. It becomes difficult for local brands to stay current with the consumers using this traditional pull channels. Pull channels also require a lot of push advertising and spend. Mobile apps tend to have mobile fatigue and get uninstalled for more messaging, social, entertainment and shopping apps. Consistency of engagement is lacking. This is forcing dealers to fall back on inefficient old age channels like phones and manning service desks with people. How does technology help dealers being proactive rather than just reactive? Chatbots seem to be the answer. They are a new age medium that does not require the traditional app download. Hence, saving consumers bandwidth and smartphone memory. And they even have much lower uninstall rates. Moreover, apps tend to be clunky with the inherent difficulty in providing a rich interface. That, in fact, is intuitive given the small mobile phone screen size. Advances in artificial intelligence and machine learning technologies make chatbots a very viable medium. Mostly, to capture new consumers and interact and deepen the relationships with existing ones. Want your very own google, Wikipedia and Amazon? Automobile dealerships the world over are adopting chatbots to provide rich pinpoint information, insights and help people find information, buy, maintain, insure and service our automobiles. It’s like having google to answer questions, wikipedia to provide information about products and services and an amazon to perform transactions for your own brand. All with a query type conversational interface. The automobile industry will need to, however, pickup in their adoption of this new generation access channel. It is driven by the latest advances in Artificial intelligence and machine learning technologies to keep innovating. This is because they have typically done it over the years. For rental fleets chatbots can be very useful in providing information. Starting with rental, readings, terms and conditions, booking information, and a lot more. In a similar manner, contract cars or leased vehicles have a complete set of terms and conditions. They come with monthly payments and receipts, service schedules, mileage, insurance coverage and a lot more. It can all be provided to every consumer via chatbots in a friendly conversational interface. Chatbots are here to stay for good. It’s great that they have come in the first place. The earlier dealerships sign up for a chatbot the more intelligent it grows. This happens over time as it handles more volumes and learns from interactions. 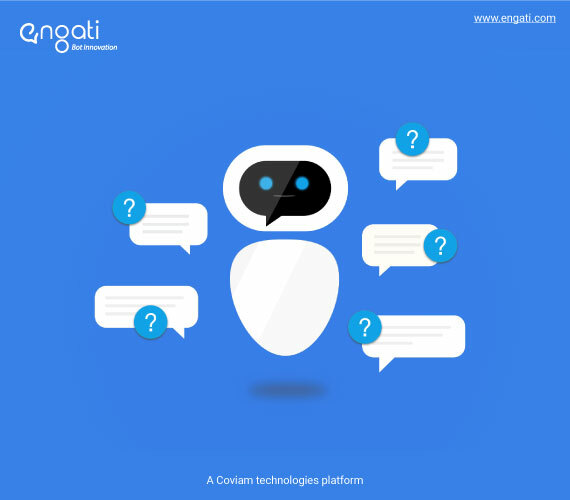 Engati has developed various dealership chatbots and can help you with all of the above. Do reach out to us at contact@engati.com or http://www.engati.com to learn more and schedule a demo. It’s cheaper than you think and a fraction of the cost of websites and mobile apps. We will get you setup in no time. So, get your own intelligent assistant 24 hours a day.